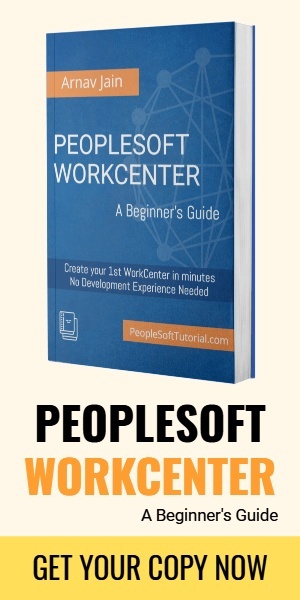 PeopleSoft Tutorial | Become a PeopleSoft Expert! Want to find out the queries that are set to run on recurrence? Here is a SQL that you can run. PeopleSoft Supplier Scorecard allows organizations to evaluate supplier performance based on several pre-configured targets to ensure that suppliers are meeting your standards. 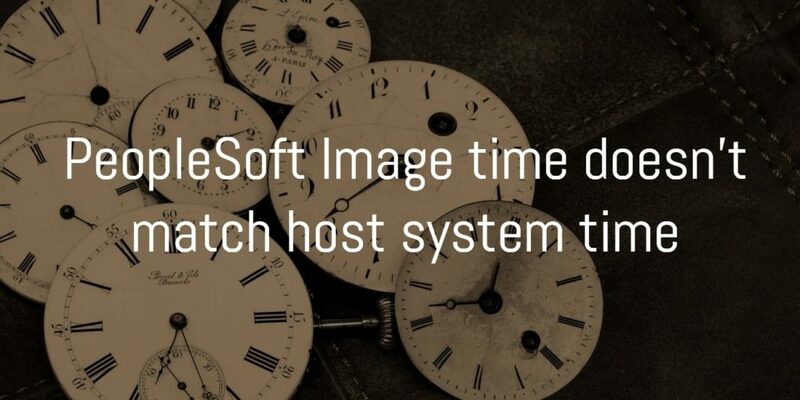 Have you ever noticed that time for PeopleSoft Image is usually different than your local host time? If yes, in this post we will understand why it’s different and a potential fix for this. Quick tip that you use to review not just 10 but 100 support articles at once. Here is a quick hack that you can use to find support documents related to a particular topic. Here is a quick SQL that you can run to find out PeopleSoft users that are logged into PeopleSoft via PIA web login. Wondering how to access PeopleSoft Image VM files on Windows host. There is a very easy way to do this. With PeopleTools 8.57, can retain AE temporary table data by enabling temporary table data tracing in PeopleSoft Configuration Manager. BI Publisher reporting tool for PeopleSoft has couple of new features with PeopleTools 8.57 such as using Composite query as a data source type and psxp_cq_report_viewer property. PUM is the only maintenance model for 9.2 applications so Oracle bundles these patches into PRP (PeopleSoft Release Patchset). 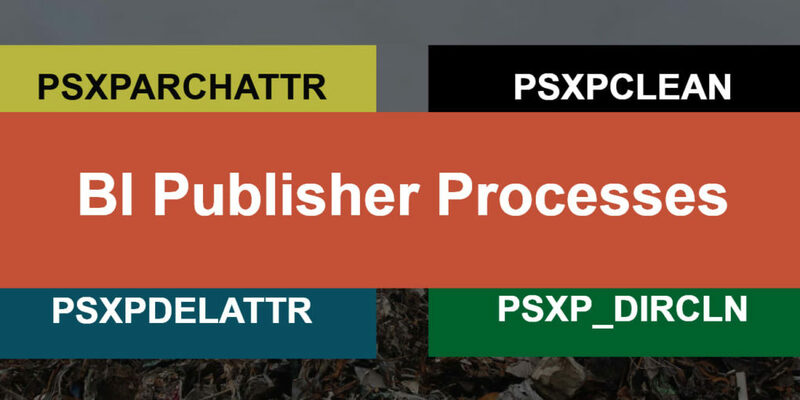 These PRP can then be downloaded from Oracle Support and applied to PeopleSoft Image. Chatbots are widely used these days and PeopleSoft is going to embrace this technology real soon. 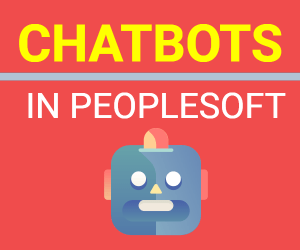 Check out how chatbots are used in PeopleSoft. Here is a roadmap for PeopleSoft in 2019 that was recently shared by Oracle in their PeopleSoft Talks. Recently, there are several features/frameworks that have been introduced to help with adding and managing customizations in PeopleSoft.